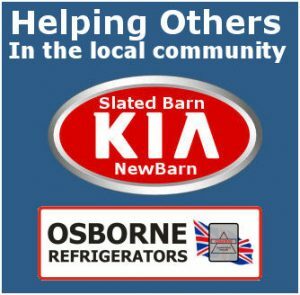 We are always grateful to local businesses large and small for the support they give by sponsoring the pram race each year. If you would like to support the race as a sponsor there are 3 sponsorship packages available. A Full colour A1 ( 600mm x 800mm) sized professional sign written display board. The boards are displayed outside the Lamb public house and around the course on Race Day. 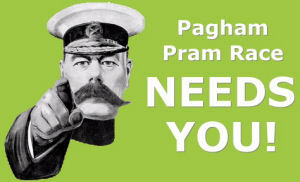 A banner advert on all pages of the Pagham Pram Race Website with a link to your website if required. (Banners are rotated). A business Card sized advert on the Corporate Sponsors page of the Pagham Pram Race website with a link to your website if required. Tickets to our presentation night. Promoted as a corporate sponsor at all our Events. Promoted as a Local Sponsor at all our Events. Promoted as a supporter Sponsor at all our events.